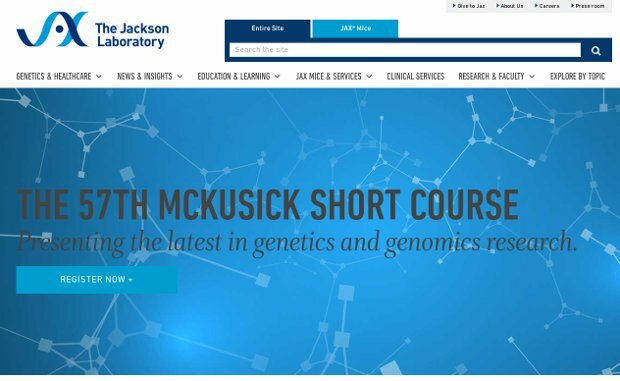 The Jackson Laboratory is unique in its quest to research genomic cures to current health issues such as cancers and other diseases. The organization collaborates on research with a variety of other organizations and helps propel genomics forward on a global scale. Research from the laboratory has been connected to 26 Nobel Prizes, and scientists from the Jackson Lab have made numerous discoveries that may help provide a cure for cancer and Lou Gherig’s disease, among other diseases. They are an independent, nonprofit organization focusing on mammalian genetics research to advance human health. Their mission is to discover precise genomic solutions for disease and empower the global biomedical community in the shared quest to improve human health. Their nearly 1.700 employees located in Bar Harbor, Maine, Sacramento, California, and Farmington, Connecticut conduct genetic research, provide scientific services and genetic resources to laboratories around the world and educate students of all ages through courses, internships and other programs.